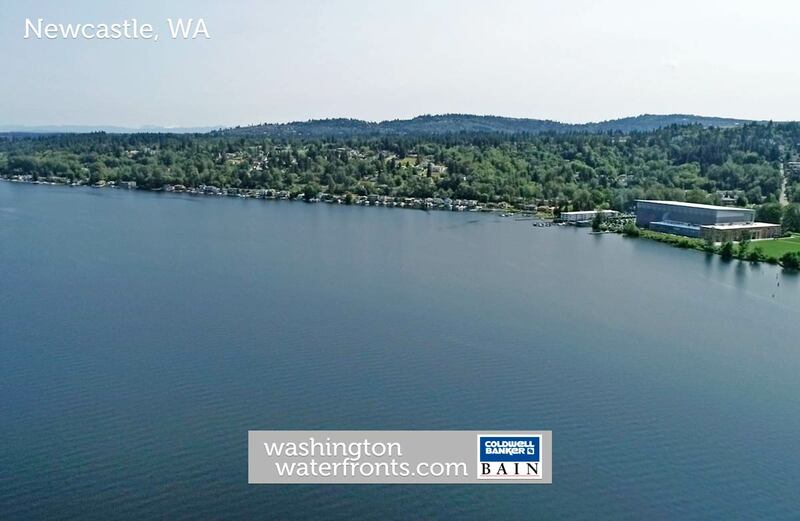 Newcastle is a suburb of Seattle located just south of Bellevue, offering the opportunity to take advantage of a waterfront lifestyle within your reach where you can enjoy your mornings sipping coffee to uninterrupted views of Lake Washington, framed by lush forests and wildlife. One of the more recently incorporated cities on the Eastside, there may be no castle per se, but you’re likely to feel as if you’re living like a king, or queen, when you own Newcastle waterfront real estate. Plus, you’ll be in an amazing location near both interstates 90 and 405 to get you where you need to be in minutes flat. While there are recreational opportunities galore, Newcastle’s business district on Coal Creek Parkway means that a variety of eateries and shops are just steps away. Golf enthusiasts who own Newcastle waterfront real estate will be able to tee off close to home at The Golf Club at Newcastle, and just about everyone will appreciate the nearly 40 acres of developed parks throughout the city, like Lake Boren Park which offers gorgeous lake vistas, picnic shelters, tennis, sand volleyball and basketball. A network of trails can be found here too, offering links between various destinations in the city to regional trail systems like Cougar Mountain Regional Wildland Park. When you’re in the mood to shop, a variety of offerings from budget to high-end are offered just three miles away in Factoria, and some of the best upscale shopping can be enjoyed by driving only a few minutes farther north to Bellevue. With Newcastle waterfront real estate, you’ll truly be in the heart of it all, for enjoying a myriad of activities on the water and on land, fun community events, and one of the best spots in the house for watching the spectacular U.S. Navy Blue Angels air show, hydroplane races and more. Take advantage of our industry-leading tools to make your property search as easy as possible and be sure to register for a FREE account so that you can receive email alerts whenever new Newcastle real estate for sale hits the market. If you’re seeking to sell your Newcastle property, contact our Waterfront Specialists directly for a comprehensive listing analysis and to learn more about the cutting-edge marketing strategies we’ll use to sell your home quickly for top dollar!